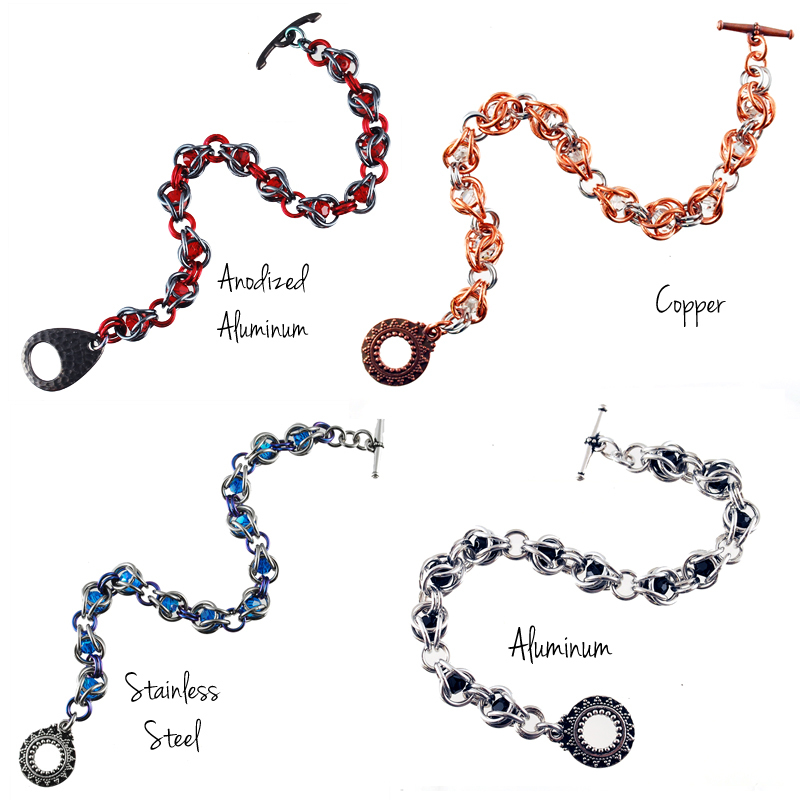 Add some sparkle to your chainmaille designs with the Elegant Hourglass Bracelet. You will learn how to make a simple cage to captivate beautiful Swarovski® Crystal beads. After learning this technique you can add caged crystals to your own creations. This design also makes for a lovely necklace or simple earrings. Prerequisite: Proficiency in at least 3 chainmaille weaves, including Box.